Thanks for dropping by the Big Red Sports financing and automotive loan section. While we have made a name for ourselves via an outstanding selection of new and used Kia automobiles, Norman also realizes that Big Red Sports is the trusted name when it comes to helping you finance one of these great automobiles. 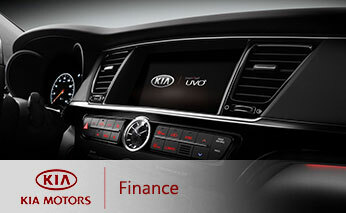 Want to dig deeper into how we can help you secure the financing you need to successfully own the right Kia for you? Then join us as we lay out how the trusted Big Red Sports finance experts found at our dealership are ready and able to handle everything from new car financing to bad credit financing on your behalf. After you are up to speed with the complete scope of what we have to offer when it comes to financing, you can move forward with excitement and the understanding that nothing can stand between you and your favorite Kia vehicle. If you are interested in learning more about what we have to offer, it is a smart idea to go over exactly why working out a loan with Big Red Sports is always in your best interests. The overarching theme here is that while other dealerships and third-party financial outlets might claim to be capable of providing the support you need for all of your car loan concerns, only our team of financial professionals are able to come through with these bold claims. Strong Relationships with Top Lenders – Forging connections with the best institutions, from Norman to the opposite end of the country, means that you have a wealth of options to choose from as you uncover the appropriate loan. The Passion to Pursue the Top Financing Agreement for You – While it might not be easy to admit, working out the most consumer-friendly terms on your car loan requires an aggressive stance during the negotiation process. Thankfully, our effective experts are able to negotiate for you and bring to you a loan that keeps you in control. A Long-Running History of Happy Auto Loan Customers – With decades of automotive industry success on our side, you can rest easy knowing that our finance staff has what it takes to successfully assist you through this sometimes confusing and multi-faceted process. When it is all said and done, there is no arguing that Big Red Sports is the leading name when it comes to getting you on track for the right financing agreement that suits your needs. Can I Receive Financing with No Money down? Receiving financing without paying a penny up front is one of the many unique loan arrangements offered up here at Big Red Sports by our financing group. Going a step further, adding in the ability to drop payments for anywhere between 30 and 60 days is also a consideration when opting for no money down car payments. To get the process in motion, we do require some additional information from you pertaining to your financial situation and options. If you are interested in what it takes to explore your no money down options, set aside a few minutes and reach out to our team of expert car loan professionals today at (405) 364-8106. For many prospective shoppers in Norman, the threat of poor credit unfortunately looms over the process of acquiring the best car and limits this otherwise fun and exciting time. Regardless of this realization, Big Red Sports understands that this issue is not always something that can be boiled down to a single factor or number. From this perspective, you can always count on us to look beyond mere numbers and do whatever it takes to truly understand every facet of your complex financial situation. By taking this different route, we have crafted a new echelon of trust and empathy for customers with poor credit that is unique in Norman – and supported countless customers as they move through this hard situation and locate the right automobile for their specific daily drive. Going a step further, each prospective buyer has unique needs and comes from his or her own unique situation, so it is always a good idea to reach out to the auto loan staff here at Big Red Sports by calling (405) 364-8106 first before you set aside some time from your full schedule and sign off on a meeting. At this point, it is time to get started on the process of figuring out the best way to finance a wonderful new or pre-owned Kia from Big Red Sports. With this realization leading the way, we would like to invite you to take a couple minutes of your day and complete our simple and secure auto loan application by selecting the button below. After receiving this information, our industry-leading credit and loan team will go ahead and being compiling information regarding all of the loan deals available to you. Going forward, we will connect with you and bring you up to speed on how best to make the most of these exemplary pricing offers. We appreciate you stopping by Big Red Sports and we look forward to connecting you with the best auto loan opportunities in Norman, and its surrounding areas, soon!